Now even YOU can earn credits for private shows! As a part of the Directors Guild, you too, can EARN CREDITS when videos are purchased. Not only will you, as a Director, earn credits, but you get notoriety, too. 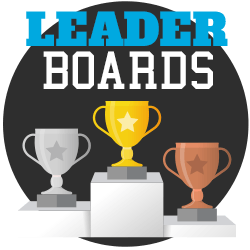 See your Screen Name up in lights on the Top Directors Leaderboard! How does it work? Simple. Recordings in the Director’s Vault are videos that you have directed. In order to earn credit and notoriety as a Director, these videos need to be Shared. For each time one of your videos gets purchased, you earn credits! Video prices are still set by the performer, but you earn 10% of the video price! The credits are then added to your account and are available for you to use. How can you pass up an offer this good? No problem! 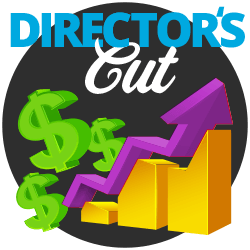 You can opt-out of being a Director on the Director’s Cut page. This page will not only allow you to control which Screen Names you want to participate as a Director, but it also allows you to run reports on your earnings. As a courtesy, we are keeping your Screen Names hidden during the initial launch to give you time to understand the terms and determine the level of your participation. You can opt-out at any time, but be sure to opt-out by October 31st, 2017 if you wish to remain completely hidden. Make it your own! No more purchasing the same video over and over again. Buy it once and now it’s yours! The My Collection page is where you will see all of the videos that you have purchased, been gifted, or redeemed through Free VOD offers. Purchased videos will remain in My Collection as long as your account is active. 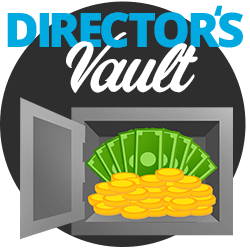 VIP users will also see videos from the Director’s Vault on this page. Videos that were gifted or redeemed with Free offers will expire after a certain amount of time and eventually disappear from My Collection. But don’t worry – you’ll have plenty of warning before they do, in case you want to watch them a few more times! Directors that earn the most* in credits will be listed as a Top Director on the Leaderboard. Gain your own following based on your artistic style! Work as a team with your favorite performer to create video masterpieces that put credits in both your banks. Is everyone eligible? Everyone CAN be eligible! There are two requirements for joining the Directors Guild: 1) videos must be SHARED and 2) you must remain current on the site**. * Highest earning calculations for Leaderboards will be based on individual screen names, not collectively for all screen names. ** Current is defined as having made a purchase on the site within 90 days of Director’s earnings. Find it fast! Use our new Search Page to find exactly what you are looking for in a video. 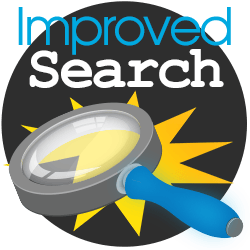 Keywords will search through performer names, video titles, and video descriptions. Narrow your search even further by aspect ratio, show length, show type, and category. Get Three for Free, VIP! Each month, VIP members will have access to three free rentals for 30 days***. Enjoy unlimited viewing of these videos in My Collection! After they expire, then use the next month’s free videos to watch new videos. Don’t want them to expire? Just purchase the video for a permanent addition to My Collection. *** Eligible videos must be valued at 120 credits or lower. No roll over passes.